Searching for an apartment can be a stressful situation. Whether it's the first time on your own or you're a seasoned renter, you still have to deal with the same questions and concerns. Here are some of the answers to those questions and other tips to help save you some money. You shouldn’t be paying more than 30% of your gross monthly income on rent. This is how much money you are making before taxes and other deductions. So if you are currently making $3,000 a month, your maximum rent would be $900. WHAT ARE YOUR WANTS AND NEEDS? Make a list of the amenities you want in an apartment complex. This list should then be split into two parts: negotiable and non-negotiable. Just remember, some amenities can increase your rent, so choose wisely. Of course, the number one ‘need’ should be your budget. 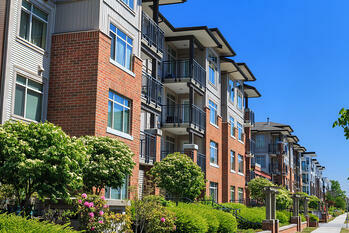 While searching for an apartment, be very specific about where you want to live, down to the exact neighborhood. If you’re new to the area, spend some time walking around and getting to know the community. Many apartment buildings have a limit on how many parking spots each apartment can use. If you only have two spots, but there are three of you living there, this may cause a problem. Look into whether renting an additional spot is an option or public transportation. Sometimes, you can find better deals if you look at middle floor units. If apartment living isn’t a long term plan, this may be a good way to save a little money. If you are planning on sticking around, try negotiating with the landlord to get a better deal. This could include a longer lease to lock in your rent or making some improvements to the apartment. Background checks aren’t required from some apartments. Make sure to talk to the management before signing anything if this is something that is important to you. It’s important to know if the building you are moving into is animal friendly, even if you don’t have a pet. You don't want to woken up early on a Saturday morning because a neighbor's dog is barking.